When was the last time you had a date night with your husband? Yeah..me too. Three kids later, my husband and I, finally planned a romantic weekend alone without the kids. 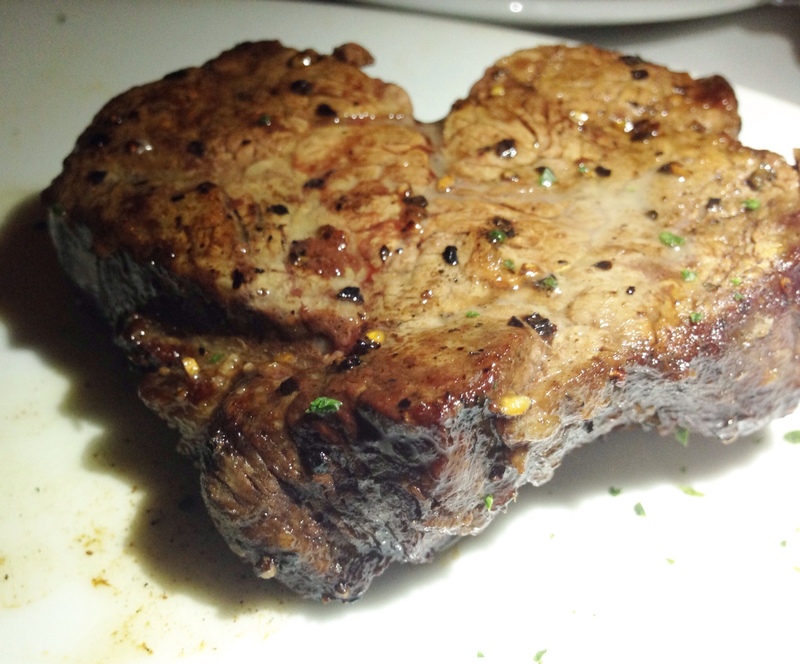 Before heading to Temecula for a romantic getaway, we enjoyed dinner at Fleming’s in Newport Beach. My husband has dined at Fleming’s a zillion times when awarded for high performance at work, but this was my first time dining at the steak house that I’ve heard so much about from my husband. Since my husband dines in the wine cellar of Fleming’s on a monthly basis, I let him lead the way on how we should order the food for our date night. He insisted, we start with a seafood appetizer, but since I have developed a recent allergy to a mystery raw fish, we went with the barbecued shrimp. After dieting for a couple of weeks, the bread that they served was probably the best bread that I have ever had. That was either (a) because I had not had bread in weeks, or (b) because it was incredible – I like to go with option (b). 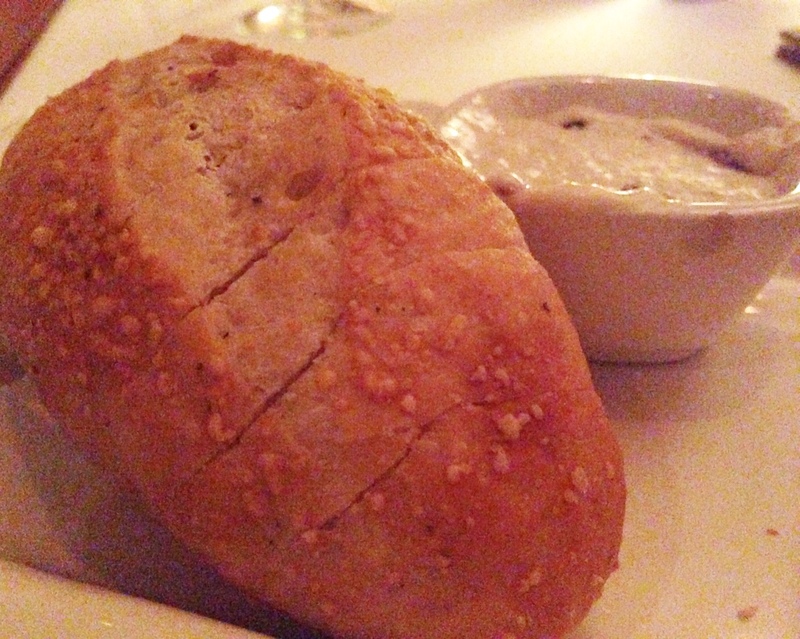 Right after being served a warm plate of bread with two different flavored butters, it was time for our appetizer. 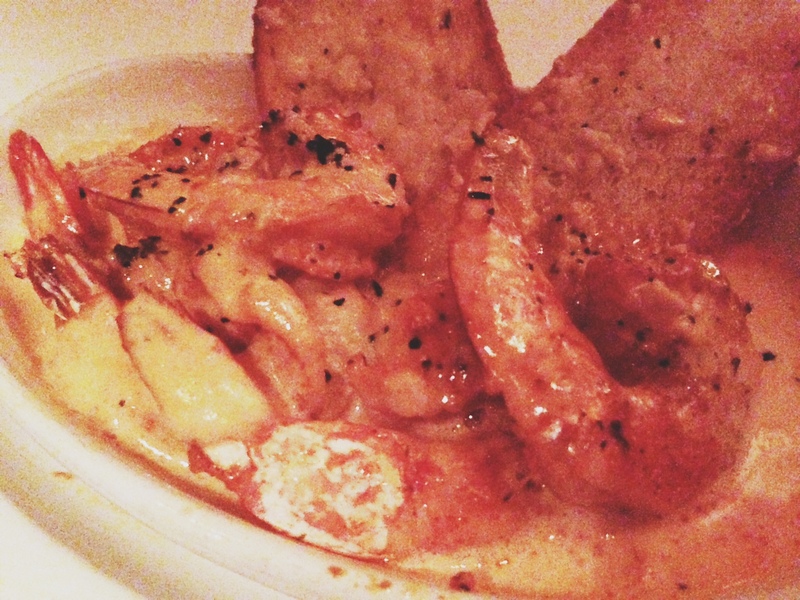 I’ll be honest – there was more sauce than shrimp – but it was delicious. I could taste the flavor of freshly grilled shrimp and the sauce had a kick that kick started our romance for the night. 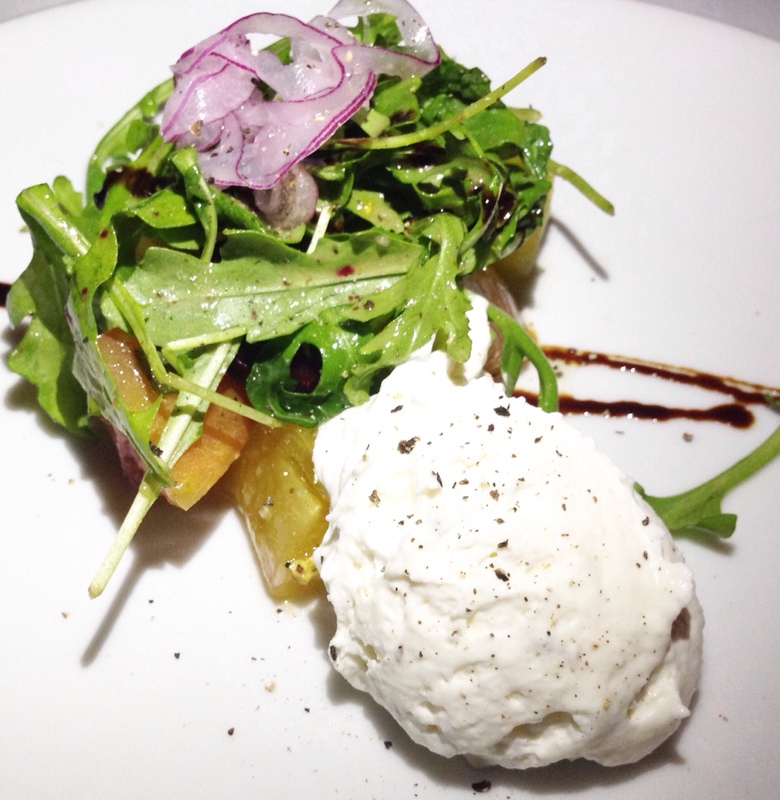 My husband was kind enough to embrace my love for burrata, and agreed to share the burrata salad. I have never been a fan of beets, but the burrata, seasoning, and arugula in the salad brought out the flavor of the beets in a way that I have never experienced before. With the wide variety of heirloom tomatoes, seasoning, burrata cheese, and beets, this salad was a great prelude into our main course. 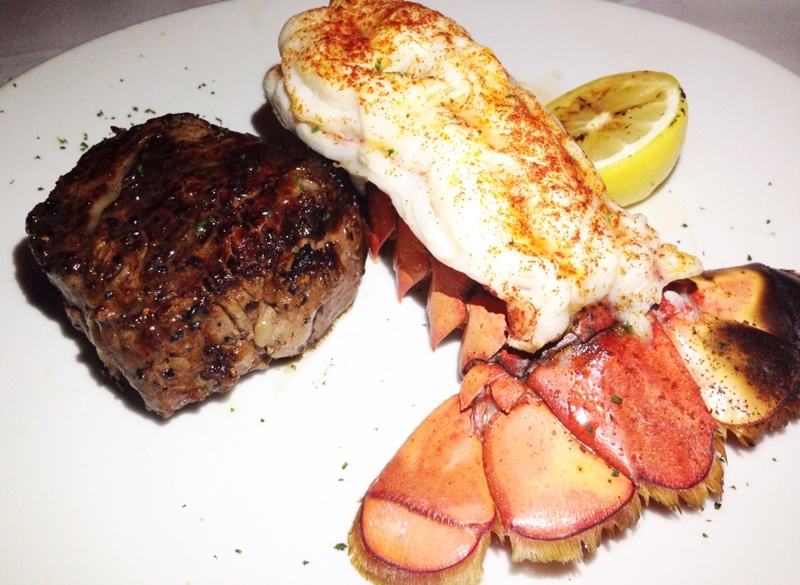 My husband ordered his traditional filet mignon and lobster tail, and since, again, I am on a diet, went with the Newport filet (the smallest steak on the menu). When the main course arrived, my husband’s dinner was beautiful. It looked incredible, while mine was overcooked. Since I never complain when a dish is delivered not to my liking, the server noticed immediately that there was something wrong with my steak. I did not even have to say anything before a new steak was delivered to the table perfectly cooked to my desired temperature. 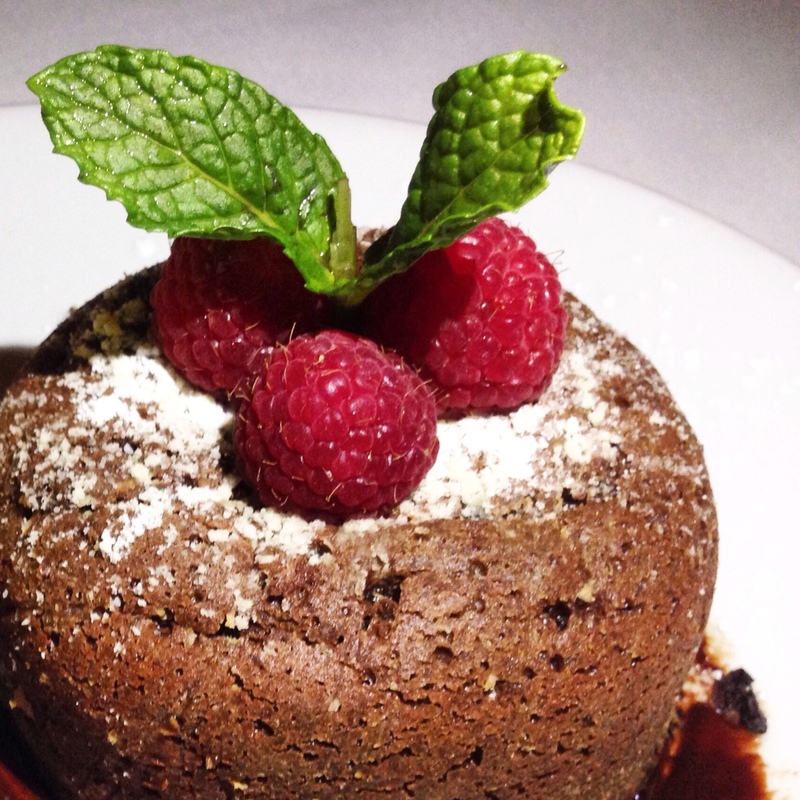 For dessert, is there anything better than their Chocolate Lava Cake? Of Course not! My husband and I devoured the rich dessert filled with melted chocolate and paired with the perfect amount of vanilla ice cream. It was the perfect start to romantic couples weekend at Fleming’s. The restaurant is busy on the weekends, so I recommend making an earlier reservation. Every restaurant will makes mistakes at times, but how they handle their mistakes says everything about their restaurant. 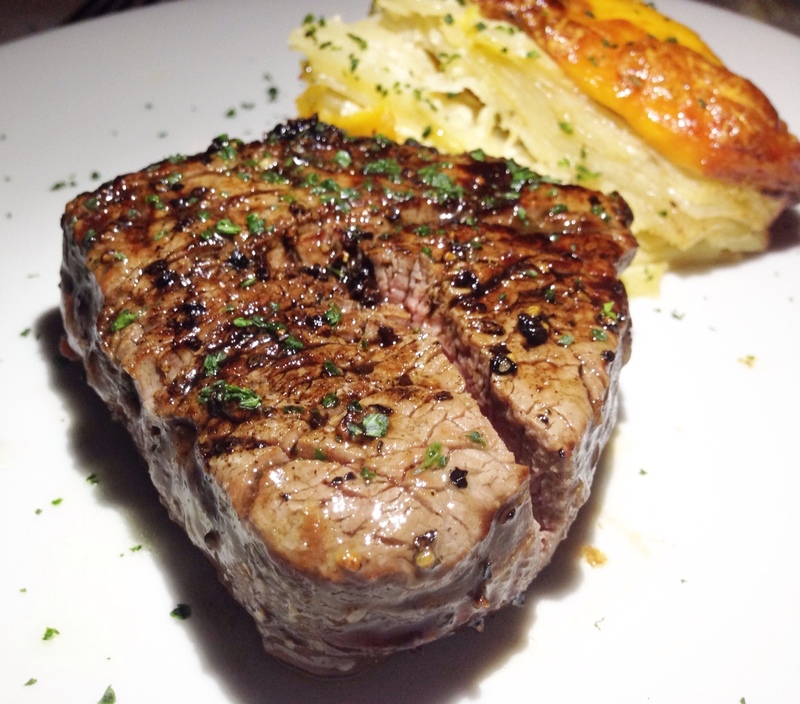 Knowing that I did not have to say a word about the error with my steak speaks louder than words, so enjoy planning your next date night at Fleming’s knowing that you will have an incredible dining experience.